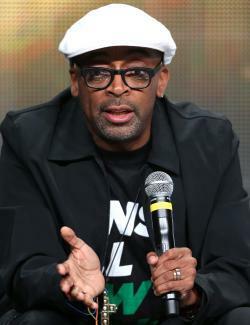 Perhaps in an attempt to drive attention toward his struggling Kickstarter, Spike Lee has posted his list of “Essential Films,” the movies he believes every filmmaker needs to see. The list, featuring close to 100 films, is handed out to Lee’s graduate students at NYU every year, and is a fascinating peek into the director’s influences and favorites—from the expected picks (Vertigo, Rashomon, 8 ½) to the more surprising ones (Kung Fu Hustle, Bad Lieutenant, Mel Gibson’s Apocalypto). Curiously, there are a lot of revered directors missing from the list—for example, there’s no Howard Hawks, John Ford, Fritz Lang, or Yasujirō Ozu. And some of the renowned filmmakers he does include are represented by less obvious choices: Steven Spielberg’s Empire of the Sun (along with Close Encounters of the Third Kind), Woody Allen’s Zelig. Perhaps most radically, Orson Welles’ Citizen Kane is absent, with Lee citing only the legendary filmmaker’s Touch of Evil. One thing that does seem to align Lee’s picks with many other essential film lists is its relatively low representation of female filmmakers. Though the list does at least include three black filmmakers—Charles Burnett, John Singleton, and Michael Schultz (Spike doesn’t pick any of his own joints)—only one woman, Kátia Lund, who co-directed City of God, makes the list. The omission of more films directed by women is particularly notable considering that the likes of Kathryn Bigelow (The Hurt Locker, Zero Dark Thirty) and Jane Campion (The Piano) have made some of the more significant films of recent years, and filmmakers like Chantal Akerman (Jeanne Dielman, 23 Quai du Commerce, 1080 Bruxelles) frequently appear on even the most male-dominated lists. Can this be attributed to a failure by Lee to look further outside the box—to his credit, he is known for fostering talents like black lesbian filmmaker Dee Rees (Pariah)—or to the way the filmmaking industry has long denied opportunities to women? It’s probably a bit of both.